General topics relating to our nithyAnushtAnam (internal and external). 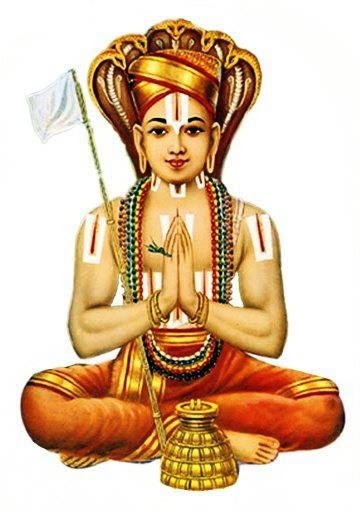 Applicable for those who are wearing yagyOpavIdham (sacred thread, pUNUl) - "sandhyA hIna: asuchi:" says sAsthram meaning one who has not performed sandhyA vandhanam for the particular session/day is impure. It is a bhagavadh AgyA kainkaryam (compulsory activity to be performed as per the orders of SrIman nArAyaNan) that is to be done thrice a day (morning, noon, evening) for every dhvijan (brAmaNa, kshathriya, vaisya). It is also to be performed even during Asoucham (both vruththi and kshayam). SrI u. vE. dheivanAyagan swamy has given full demonstration of prAthas sandhyA vandhanam, mAdhyAnniham and sAyam sandhyAvandhanam - specific for yajur vEdham. Previously, a DVD was released and is still available for sale for Rs 100 and can be purchased by contacting 044-28440009 or kaarimaaran@gmail.com. We have now uploaded these videos in to youtube for the benefit of every one. granthAnvayam - this is the process of formally being initiated by the AchAryan to listen to kAlakshEpams. Without learning sath sampradhAyam principles properly through an AchAryan, one cannot enter into antharanga (confidential) kainkaryams such as thirumadappaLLi (cooking for emperumAn, AzhwAr, AchAryas, ones own AchAryan) and performing thiruvArAdhanam, etc., at the temple/mutt/AchAryan thirumALigais. During this samskAram, AchAryan usually begins thiruppallANdu, kaNNinuN chiru thAmbu, bhagavath vishayam and rahasya thraya kAlakshEpams. Subsequently one can learn the principles either from ones own samAsrayaNa AchAryan or other kAlakshEpa adhikAris. Do's and Dont's - http://ponnadi.blogspot.in/2012/07/srivaishnavam-dos-and-donts.html. good work done. can u give anushtanam for vanaprasthana ashram. In our srIvaishNava sampradhAyam, there is no specific emphasis on vAnaprashtam. As, srIvaishNavas are naturally inclined in kainkaryam for dhivya dhEsa emperumAns and bhAgavathas/AchAryas - they have continued to perform their fully dedicated service in gruhasthAsramam itself properly. dhanyosmi swamin.. nice compilation and apt for samsaris immersed in modern life.